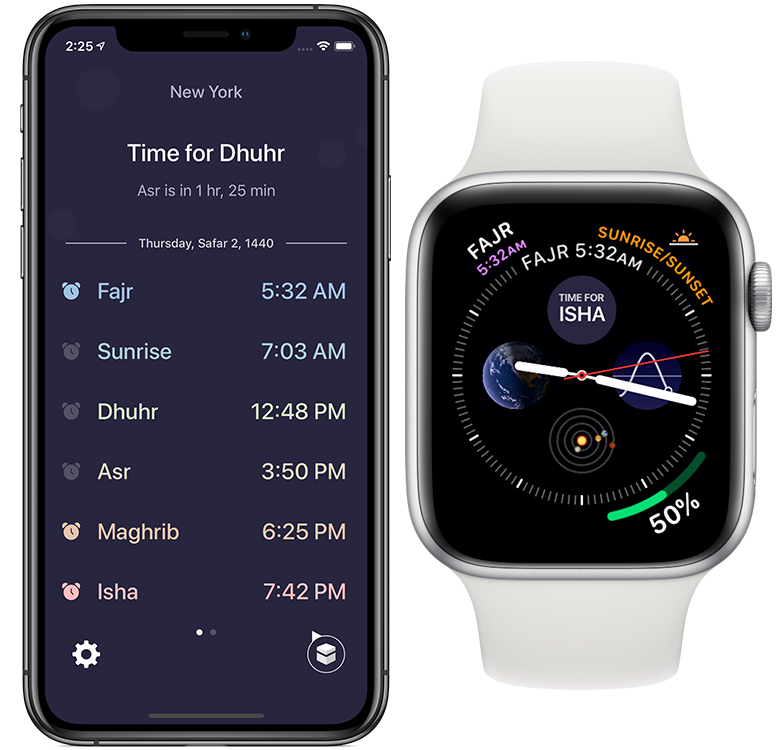 Guidance gives you prayer times, alerts, and qibla direction in a simple and modern app. 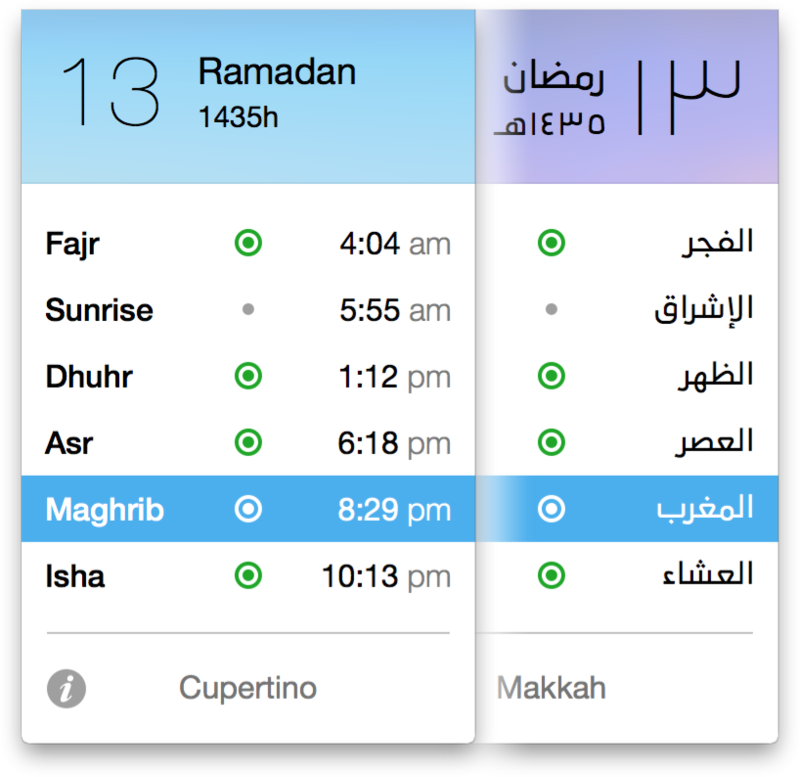 Guidance is a prayer times application for Mac OS X that plays the Adhan when it is time for prayer. Designed to be simple and elegant, Guidance sits in the menu bar and shows a countdown until the next prayer. When it's time for prayer, Guidance displays a notification and plays the adhan. Guidance stays out of the way while providing you with current prayer time information. Guidance offers the most simple and convenient way to know when to pray on your mac. Guidance requires OS X 10.8 and above. For other versions of macOS you can download older versions of Guidance.